A new stage adaptation of "The Adventures of Tom Sawyer" is coming. It will be written by an up-and-coming playwright. The writer isn't much older than Sawyer was in the landmark book. The Mark Twain House & Museum in Hartford, Connecticut has picked Noah Altshuler. He is 17. 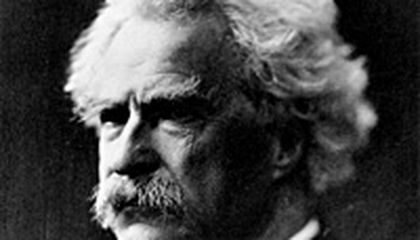 The Twain group wants him to go back to the famous novel and build a play from it this summer. First, he will visit key Twain locations like Hannibal, Missouri and Elmira, New York. "It's an effort, above all, to bring the quintessential American boy to a new generation. His importance is greater than it's ever been," said Altshuler. "I've found Twain to be so relatable and so important in my life." Altshuler was born and raised in Cambridge, Massachusetts. He admits to being a president James Garfield junkie. He already has had his play "Making the Move" featured at the Edinburgh Fringe Festival. It's been licensed by more than 50 schools across the country. He hopes to return to the festival this year with a sequel. Altshuler's play will be adapted primarily from "The Adventures of Tom Sawyer." It will also include elements drawn from "Tom Sawyer Abroad" and "Tom Sawyer, Detective." Altshuler has been named a playwright-in-residence. He will have access to Twain's archives. The tale of Sawyer has been made many times. There have been films, TV movies, a ballet and stage musicals. In the story, he whitewashes a fence, escapes to an island and tries to live without adults. He witnesses a murder, searches for treasure and gets lost in caves. Altshuler said he wants to create a direct and personal relationship with the original text. He hopes to capture the energy and excitement of someone living the life of Tom Sawyer. Mark Twain was born Samuel Clemens in Florida, Missouri in 1835. His family moved to Hannibal. He grew up there. The Mississippi River town and its characters inspired many of his greatest works. They include "The Adventures of Tom Sawyer," ''The Adventures of Huckleberry Finn" and "Life on the Mississippi." Critical thinking challenge: Mark Twain's house is in Hartford, Connecticut. Noah Altshuler is from Massachsetts. So what inspired Twain to put Tom Sawyer on the Mississippi River, far from New England? He put Tom Sawyer on the Mississippi River because the town and the Mississippi River and his characters inspired many of his greatest works. The included "adventures of Tom Sawyer" the adventures of huckleberry Finn and life on the Mississippi so they hade spent a lot of time together and they were friends that's why Twan put Tom Sawyer on the Mississippi River. A new stage adaptation of "The Adventures of Tom Sawyer" is coming, which will be written by an up-and-coming playwright. The writer isn't much older than Sawyer was in the landmark book. 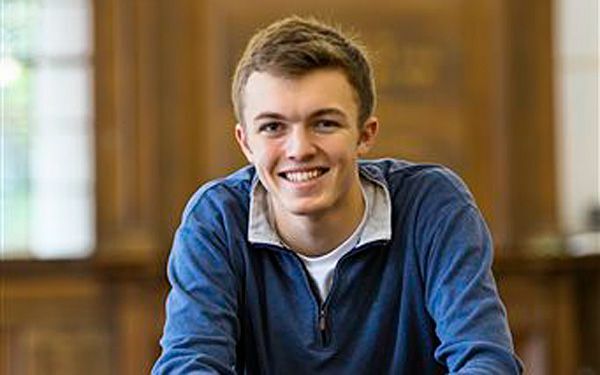 The Mark Twain House & Museum in Hartford, Connecticut has picked Noah Altshuler, a 17-year old. Altshuler was born and raised in Cambridge, Massachusetts. He already has had his play "Making the Move" featured at the Edinburgh Fringe Festival. It's been licensed by more than 50 schools across the country. Altshuler has been named a playwright-in-residence and will have access to Twain's archives. Altshuler said he wants to create a direct and personal relationship with the original text. He hopes to capture the energy and excitement of someone living the life of Tom Sawyer. I think it is inspiring that a boy so young has enough potential to create a play wright as famous and as amazing as the Tom Sawyer playwright. I hope to see the movie he made at the Edinburgh Fringe Festival.